Sure I think in small, but (hopefully) significant snippets everyday on Instagram, but writing more than 50 words…well, that requires some actual work, work that has apparently escaped my physical and mental capacity. Mama needs a break + Brothers living in harmony, making popsicles, long hours of arts and crafts, water gun fights, trips to the zoo, extended hours of reading and instrument practice, goals and projects completed, vacations well planned out…all while I blissfully spend quality time with my kids (who don’t fight or get hurt all time) and run GraceLaced Shoppe effectively…simultaneously . You see? Idyllic and idealistic. It’s not unrealistic to expect and hope for all the best this summer. It’s unrealistic to expect that it won’t take work. When the boys alternate between laughing and crying all day long? Remember: They are learning to be brothers and best friends…family is their first real context to learn how to love and forgive. Give thanks for opportunity even if you could do without the drama. My feelings of entitlement to comfort, carefree, simple, idyllic, and easy are, in a sense, a rejection of surrender, dependence, sanctification and suffering. 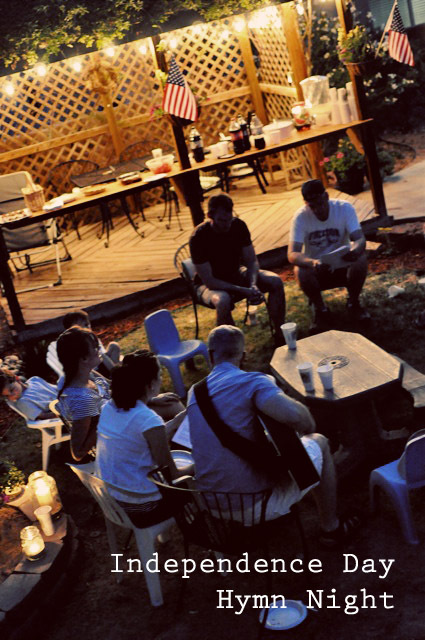 I know this is just a post about summer, but please hear me out: All that stuff that drives us crazy day in and day out during summer break (or otherwise) with our kids, our homes, our spouses, our work, our relationships, our change in routine, our disappointing circumstances, our unknown future, is the stuff God uses to make us recognize His mercy and care for us in the midst of our striving to make life easier on ourselves. Would we remember our great need for our Savior otherwise? Perhaps this summer break will exceed your expectations because none of them will be met except those expectations only God can meet. Maybe our deepest form of rest this summer will come by unplanned provisions given in unexpected ways. We may be taking time off from academics, schedules, or even responsibilities, but the work of sanctification in and through these everyday challenges never takes a holiday. And aren’t we grateful. Today, I’m sharing six tips to a more stress-free, simple summer with our kids. Pop over, as there are links to resources, ideas, and tips for more than surviving, but thriving, this summer. I invite you to visit me at The Better Mom today! Summer was simple when I was a child. We had very little resources financially and an abundance of time. Summer days felt long and deliciously conducive to the lost art of thinking. As a child, I have vivid memories of hanging off the edge of my bed, staring at the ceiling, and imagining a world of bare white floors with no furnishing. An upside-down world. I remember being so entertained by the silly thoughts that were filling my imagination. I have memories of writing “a cookbook” of what I believed to be the most delicious recipes in the world…for a seven year old. I read books and slept under a tree. My brother and I made forts, copied master works of art, and listened to books on tape. It wasn’t that we didn’t like television– there was just hardly need of it with all the creativity flowing about. When did summer vacation become so complicated? When did summer begin to feel rushed, frantic, hurried, exhausting? When did we make summer about squeezing in as much entertainment, fun, and activities as the schedule could manage? By nothing, I’m sure he did not mean lining everyone up on a bench and sitting with their hands on their laps; doing nothing meant being unhurried, relaxed, and free to explore and create. He wasn’t asking to go to a movie, another water park, a summer program, or the store– he was just enjoying home. We live in a culture that equates doing with learning, entertainment with engaging, and busyness with living. We know better– even if sometimes we forget. 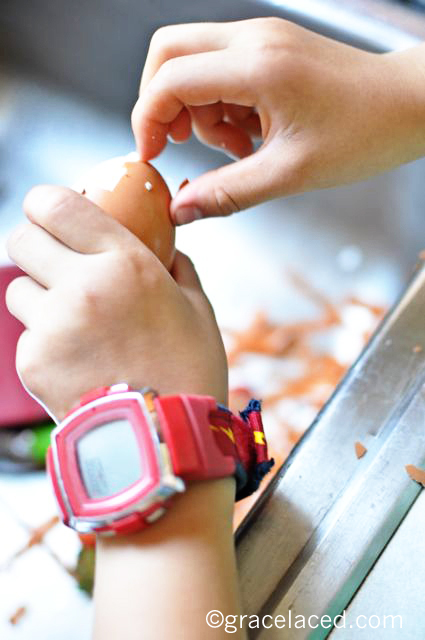 There are so many opportunities for our little ones to be busy and entertained these days. While there are so many wonderful experiences our children can have through special events, activities, and programs, what our children often really need during summer break is just some time to BE. To think. To discover something about themselves in the midst of perceived boredom. To simply “do nothing.” And, frankly, mamas need the same. 1. Send everyone in your family off with a notebook and pencil for 30 minutes. No talking. Write or draw. Create a topic or make it freeform, but enjoy time alone before coming together and sharing what each came up with. 2. Try doing a family digital media fast. No TV, video games, ipods/ipads or computer for a week (or even a day!). And see how much fun kids can have when they think they are bored. 3. 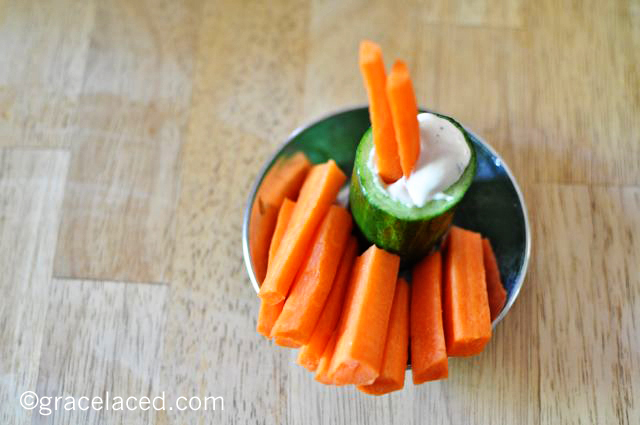 Let your kids create snacks or plan a meal with just what’s available in the house. 4. Sit on the couch and listen to classical music on Pandora. 5. Have a conversation with your kids over afternoon tea. 8. Sit and look out a window, and pretend to read a book. Hello GraceLaced friends! I am Kirstin, half of the sister team that blogs at kojodesigns and Shiny Happy Sprinkles, and I am beyond thrilled to be here today. 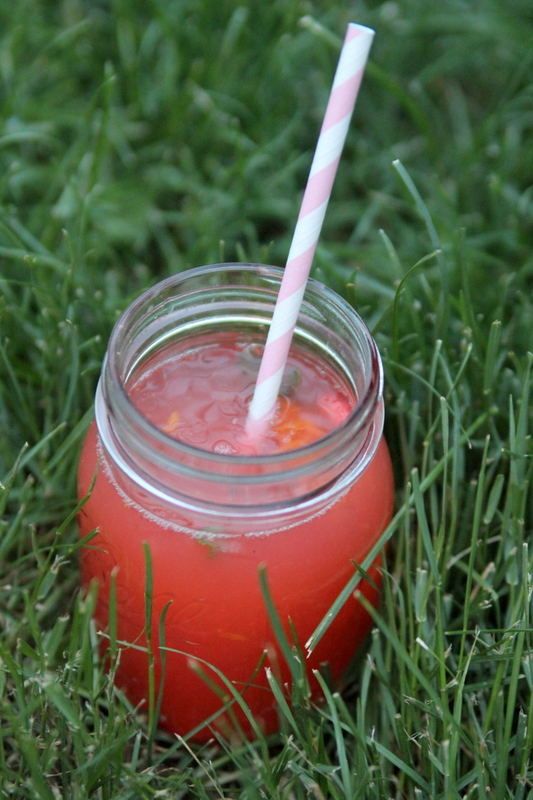 See, today three of my favorite things- summer, yummy drinks, and Ruth’s blog- are all wrapped up in one strawberry mango mojito recipe. It’s like a trifecta of fabulous! Besides summer, and Ruth’s blog, and yummy drinks in general, I should confess- I also love mojitos. Love them. I think mint and lime were made to go together. And I lo-ove adding fruit, like blueberries, to this yummiest of drink concoctions. 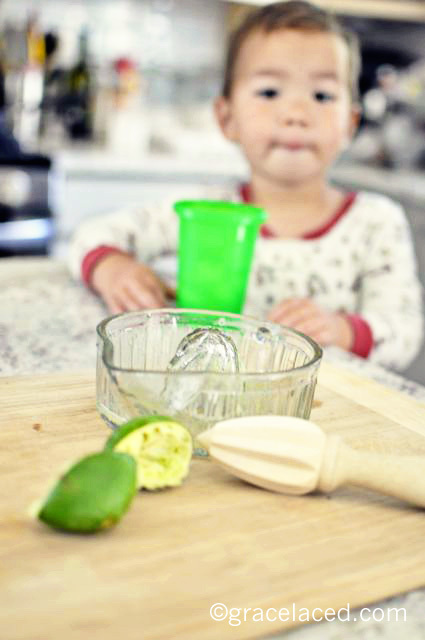 DIRECTIONS- Add lime juice, mint leaves, strawberries, mangoes and sugar to the bottom of a cup. Muddle, mashing the berries, the mangos and the mint leaves. Add rum and club soda. Mix well and serve. 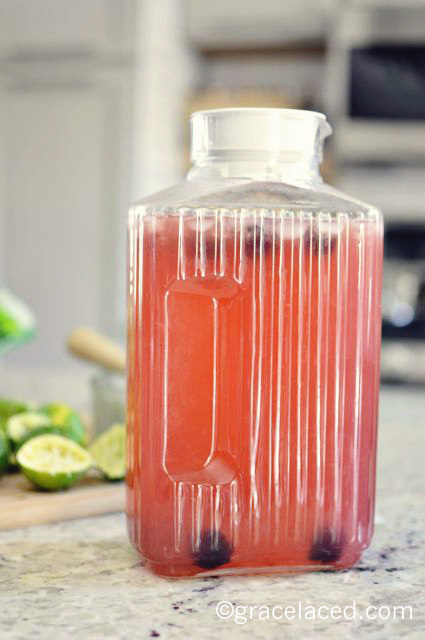 Also, and I highly recommend this, if you want to make a whole pitcher of strawberry mango mojitos, use this blueberry mojito recipe and sub out strawberries and mangoes for the blueberries. Deliciousness! Thanks for inviting us Ruth! GraceLaced friends, stop by and say hi anytime! *Update: Friends, it is not my intention to offend or cause anyone to stumble. I do not take our Christian liberty lightly, and am not flippant about the issue of alcohol. 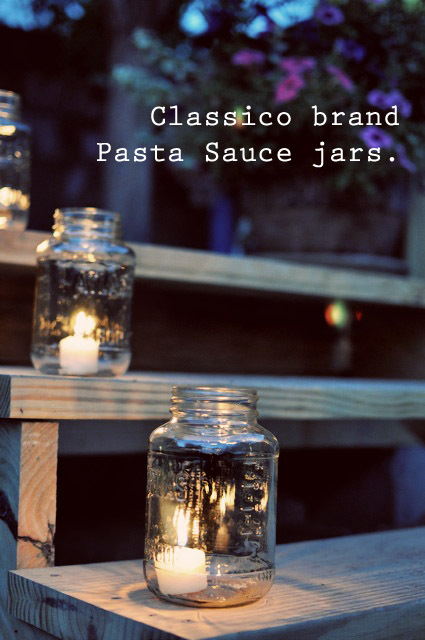 Today’s guest post is a lovely recipe for a summertime celebration or dinner party. I’m sure it is delicious without alcohol (I make “mocktails” all the time! :) ). I realize we may agree to disagree on this issue, but please refrain from arguing about the issue of alcohol in the comments. Thank you, dear readers! “The end or purpose of Christian liberty is not to smoke or drink; liberty is given for the pursuit of holiness. Those who wave the banner of Christian liberty so that they might do whatever they might want to do have not understood the doctrine at all. The point is not to drink or smoke or dance according to our own whims, in the light of our own wisdom, but to do whatever we do before the Lord, with the increase of joy and holiness obvious to all. Our guide on how this is to be done is the Bible, and not our pet evangelical traditions. And this is why the mature may drink wine to the glory of God, and the same cannot be applied to young men who may be more concerned about looking cool than being holy.” -Douglas Wilson, Future Men. 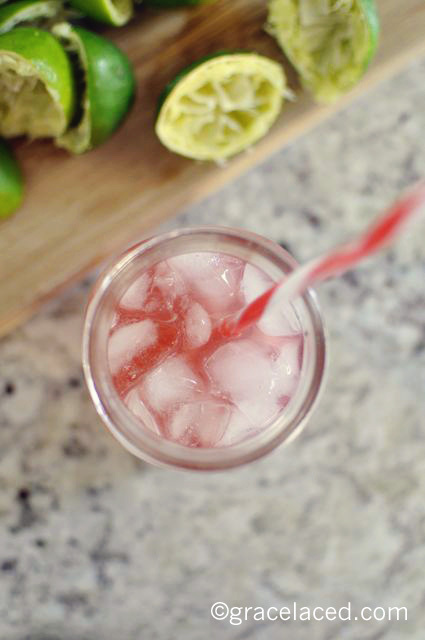 Let’s talk about cherry limeade. 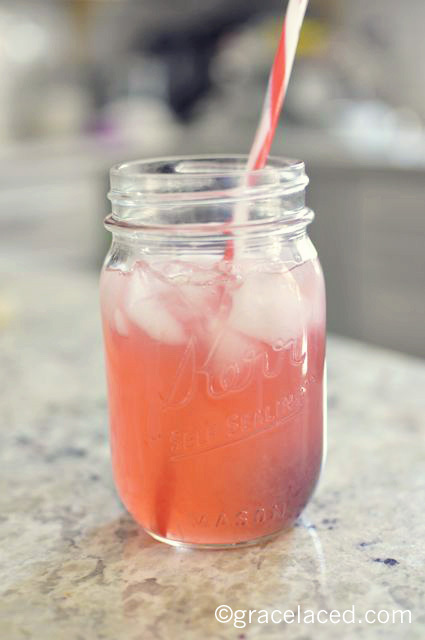 Real cherry limeade is summertime in a glass, don’t you think? And, maybe cherry limeade conjures up feelings of nostalgia over Happy Hour at Sonic. But after making it from scratch, I’m not sure the artificial flavoring at the drive thru will ever quite do it for me again. 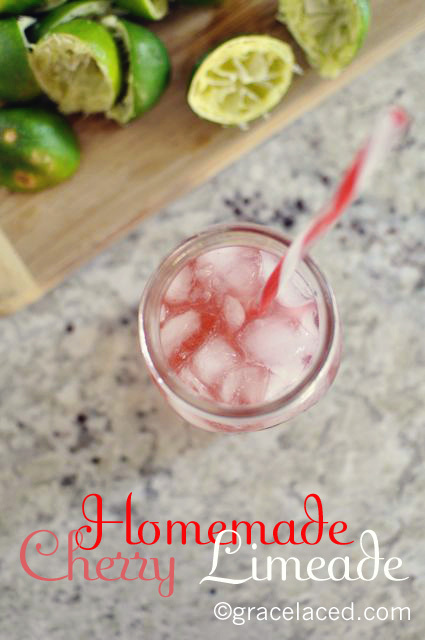 Making your own limeade is significantly more affordable and absolutely more delicious. And yes, it is more work. 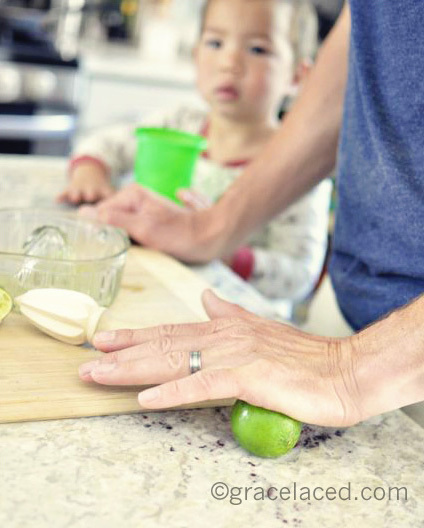 🙂 If you have littles, you can enlist helpers, or train them to make a batch for the whole family on their own. 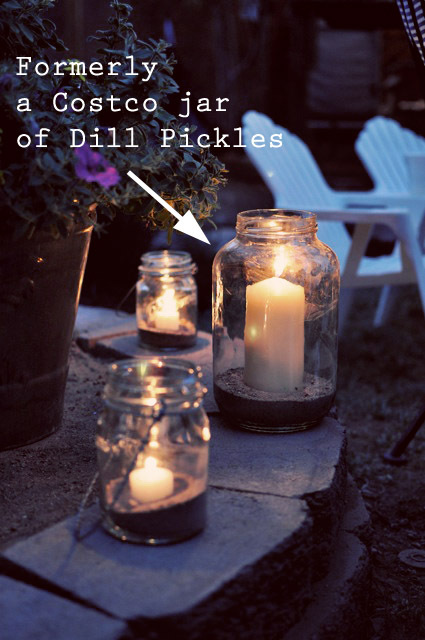 Perfect cure for summertime boredom! 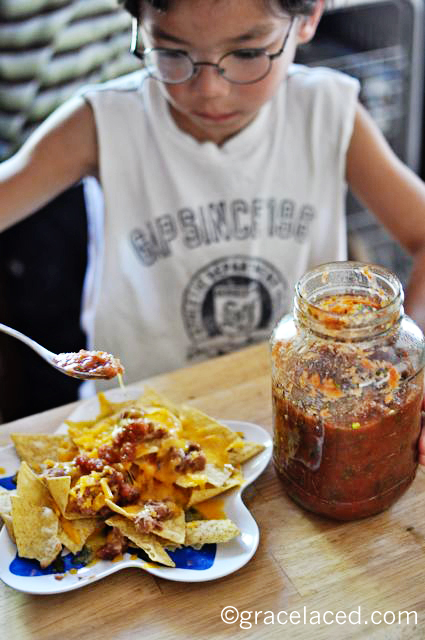 For our size of family, we generally double this recipe…even then, it doesn’t last long. And, if you are still looking for the zing you get from a Sonic cherry limeade, get yourself a bottle of sparkling water, and substitute it for the water in the recipe. I promise…it’ll be Happy Hour at your house all day long. 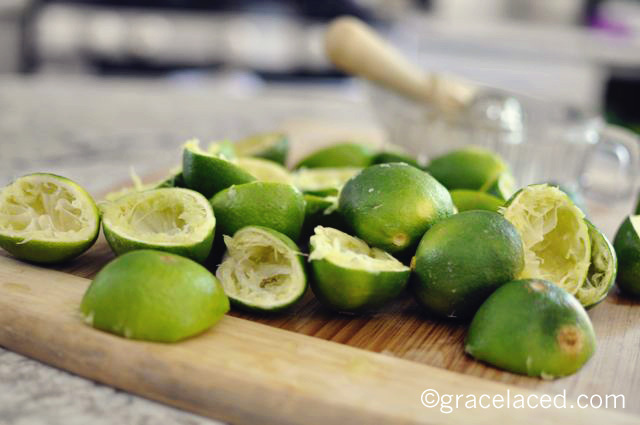 Start by pressing gently on the limes to soften them. Make simple syrup by combining the sugar and water. Dissolve in microwave for a minute, stir, and set aside. 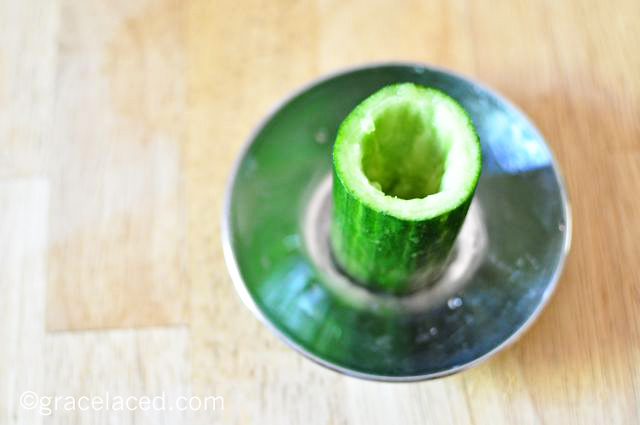 Juice them in whatever method is easiest for you…I usually get all the kids involved and have several juicing tools. My favorite is this lemon reamer . Combine juice, syrup, water, and frozen cherries in a large pitcher. Gently crush about half the cherries with a long wooden spoon. Add extra ice cubes. Taste and add water if needed. That’s it! Enjoy! Join us for the rest of the Summertime Beverage Series for more refreshing ideas! The perpetual snack dilemma of summertime. Sigh. All the kids are home…all the time. At my house, that means the boys are constantly hankering for a snack. Here’s what we are doing this summer to make snacking fun and unburdensome, while training the kids to take over in the kitchen! 2. 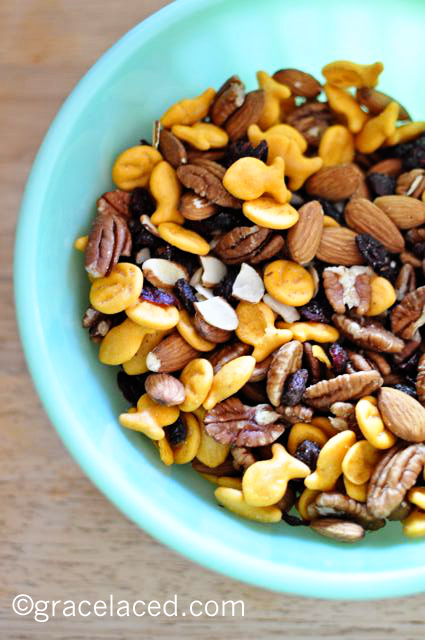 Set a time for snacks every afternoon (or morning and afternoon) so there’s not constant inquiry about snacking. 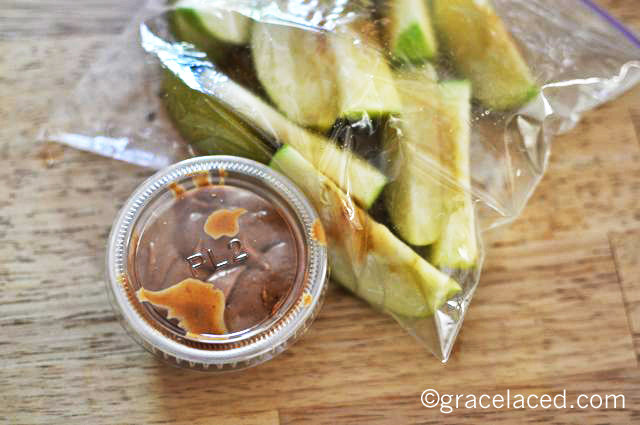 Everyone knows when snacktime will be, and eats enough at mealtime to adjust accordingly. 3. Rotate snacks on a summer calendar so that everyone can see what’s on the menu, and there is no debate about what to have each day. 4. Take turns making or preparing snacks each day. Kids love to cook! 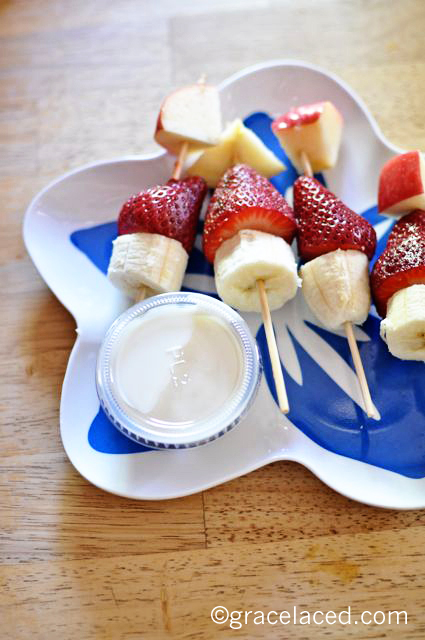 Simple snacks are a great way for them to take ownership of what they are serving up to the entire family! 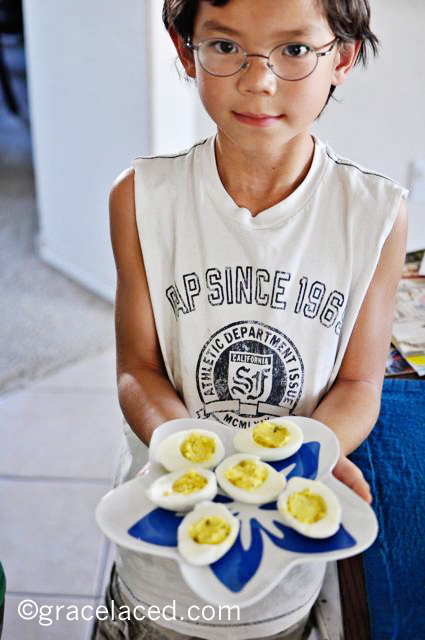 What are some easy go-to snacks your family enjoys? How do you manage summertime snacking? 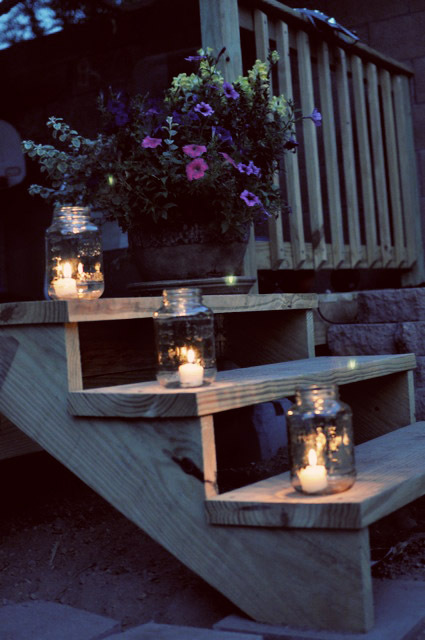 There’s hardly a lovelier sight than a softly lit summer evening. …and sprinkle generously with the sweet sound of unity in praise. 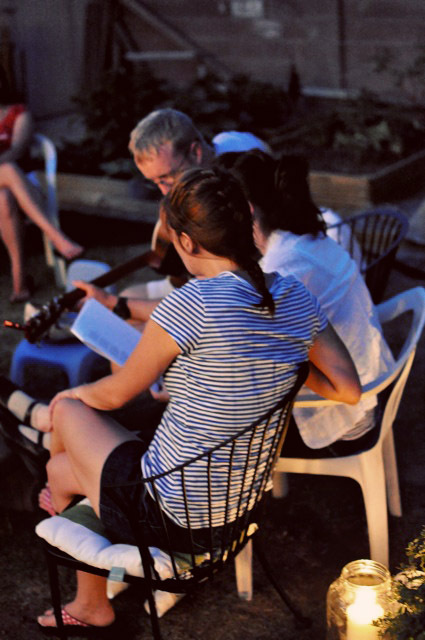 The makings of a perfect summer’s night.